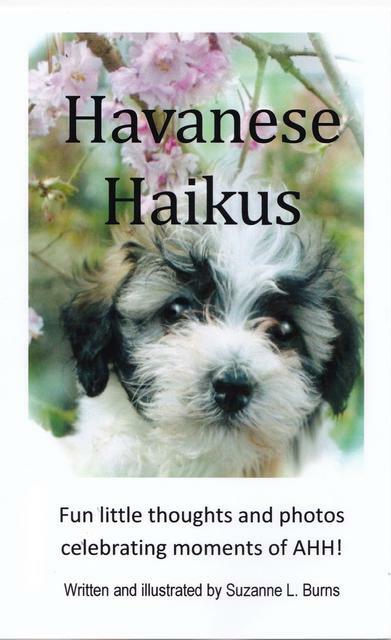 ​ Havanese Haikus is a new book as of May 2016. Cost is $10 plus postage and tax. For more details and to see sample pages, please click on the HAIKU BOOK yellow button. A little book designed to bring moments of AHH to anyone who loves dogs . . . especially Havanese fanciers . . . and anyone who loves to look at photos of puppies . . . and anyone who loves Haikus or knows nothing about what a Haiku is but wants to know . . . and especially a little book for bringing moments of AHH to anyone who has ever loved a dog! 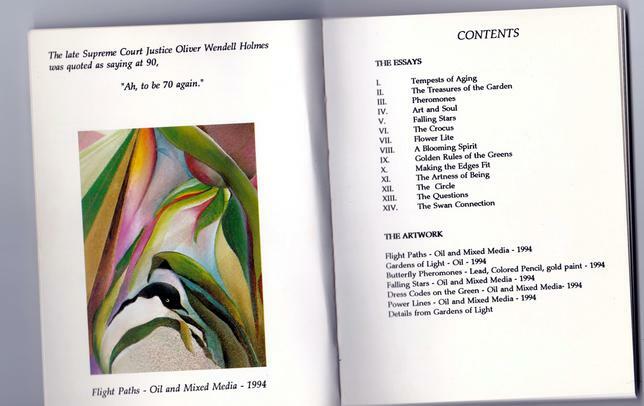 The book, Gardens of Light, is offered as inspiration to young and old who are continuously recreating their lives as they grow older and wiser. It contains original artwork and some original and not so original quotations. The book is a visual and soulful journey into the questions of growing older and wiser - travelling hopefully through the pages with a light heart and happy head! A beautiful line from an Elton John song reminds us that the twisting kaleidoscope moves us each in turn, to a point of performance in our lives, if only we recognize the moment, seize it, and soar! 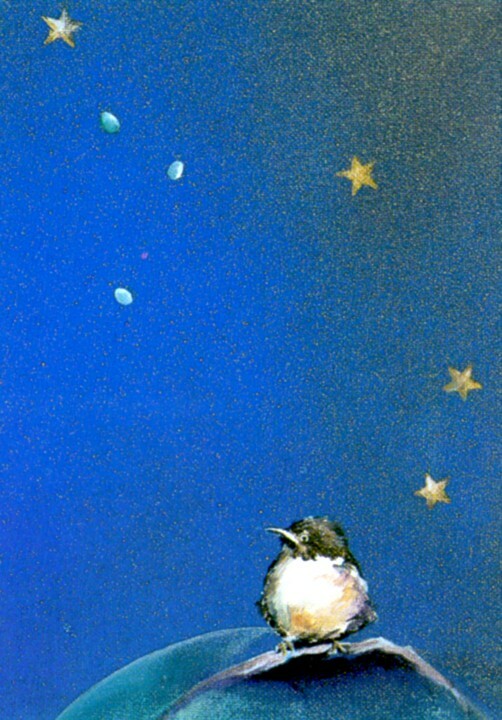 I believe it is our duty to soar - above and beyond the norm - at least once before we die. By following the flight paths of others, and perhaps creating some new paths for those who follow, perchance a moment may be glorified and an inspiring thought noted! 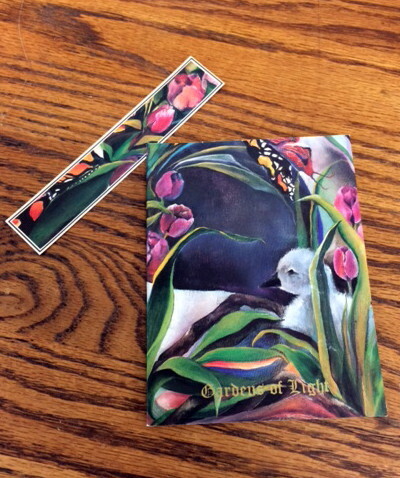 Gardens of Light is a small, full color , 14 page double sided soft cover book, 4.5" x 5.5". In the late 1900's this book was published in a limited edition production, celebrating the millennium with a quantity of 2000. 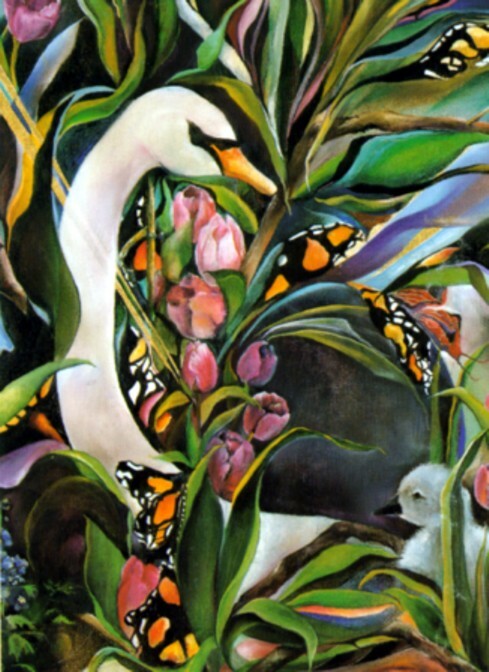 It was sold exclusively through the Verksted Gallery in Poulsbo, Washington State, and through personal contact. 500 books still remain and are now avalilable for sale on the website. If you wish to order a book, the cost is $10 plus postage and sales tax. Just email [email protected] to place an order. Two limited edition prints from the book are available for purchase - Gardens of Light and Falling Stars, both pictured above. The prints are vertical, 11" X 14" and fit a standard frame with an 8" X 10" opening. They are in poster format and were printed in Port Townsend, WA, using an environmentally kind waterless printing process, and have held their color perfectly. They are not numbered as they are all equally good prints.